Hard Rock cafe is an international chain of theme restaurants. There are 175 Hard Rock locations in 53 countries with the largest in Orlando. 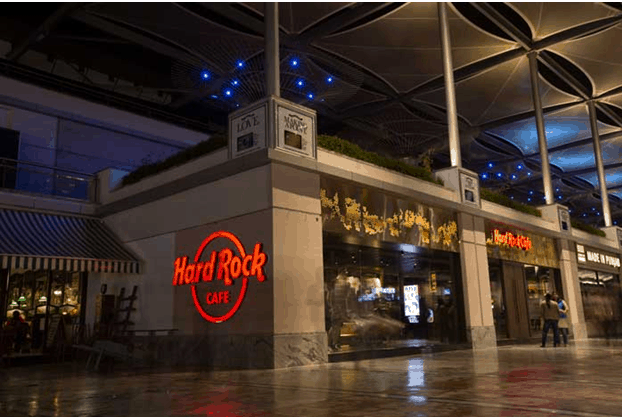 The cafe with an intention to make its chain even bigger and explore the Indian market opened five Hard Rock Café’s across the country (Mumbai, Pune, Bengaluru, Hyderabad and Delhi). The company wanted to leverage the social media space in an optimal way to engage, communicate and converse with their ardent fan base. • To create a platform for local Hard Rock Cafes India. • To introduce local Bands to play in this Café that can increase footfalls to the café. • To generate awareness about Cafés opened in Mumbai, Delhi, Bangalore, Hyderabad and Pune. 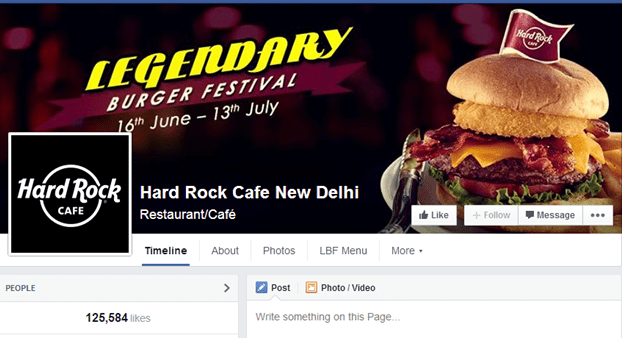 • Hard Rock main Facebook supported the other Facebook page of every cities of India. • Blog content added information and help in gaining popularity. • Interesting updates were Tweeted and re-tweeted on Twitter that helped in gaining popularity. • Added over 10,000 fans in a week on all Facebook page. • Traffic on the blog also increased. It gets 1500% rise i’e 2500-3000 visits a day on an average. • Hard Rock band went viral.